If you’re still on Magento 1, there should be no more procrastination. Magento has officially announced its support for Magento 1 is going to end in June 2020. Here’s a step-by-step guide to migrate Magento 1 to Magento 2 with minimum or no downtime. Why should you migrate to Magento 2 right away? No Scope of Innovation in Magento 1: Even though the support is until next year, there won’t be any improvements or innovation. Faster Page Load: Magento 2 has architectural improvement which has made it 2x faster than Magento 1. The latest version of Magento is the future. Better Features: Magento 2 is a world-class eCommerce system. It provides better visibility into business growth, improved site performance, and omnichannel commerce experience. When it comes to Magento 1 vs Magento 2, M2 is always a step ahead. In fact, once the support is over, your M1 website entirely depends on you. See which website is theme, code, extensions are compatible with the latest Magento version. As a best practice, take the full backup of your Magento 1 store – required database, folders, and files. Don’t use your live store for the migration process. Migrate the data from the cloned database of the Magento 1 store to achieve minimum to zero downtime. PHP Extensions: bc-math, iconv, json, zip, libxml, ctype, curl, dom, intl, gd, hash, openssl, mbstring, mcrypt, PDO/MySQL, SimpleXML, spl, soap. MySQL: 5.6, 5.7 or Percona 5.7 or MariaDB 10.0, 10.1, 10.2. Solid State Drives (SSD) will cause M2 to run much faster. Install it on a basic VPS. Match the above-mentioned configuration requirements. Using NGINX with M2 is easy since it comes with a premade configuration file – nginx.conf.sample. Start the installation process by performing the readiness check. “Install Now” button to begin and you’re done. Note: The installation may show up problems if you don’t have the required configuration or PHP extensions. We will migrate Magento 1 to Magento 2 using the Data Migration Tool. You can install the DMT either from Magento repository or GitHub. Match the <version> of the Magento 2 codebase. When asked, enter your authentication keys, where your private key is your password and the public key is your username. Log in to the server or switch over to, as a user who has permission to write to the Magento file system. Note: <Magento install dir> is a subdirectory of your web server’s docroot. [-r| –reset] is an optional argument to start the migration from the beginning. Settings mode: Migrate website-related setting and system configuration like payment, tax settings, etc. 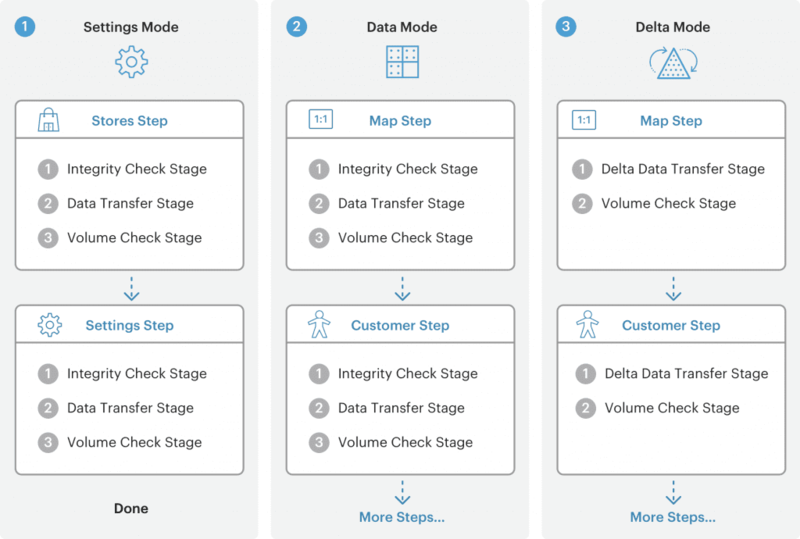 Delta mode: Migrate changes (since the last run) done by customers on storefronts like new orders and customers. Note: Press CTRL+C to stop run. Repeat the same steps in Magento 2 Admin Panel. Manually copy from /media to /pub/media. Don’t copy the .htaccess files located in the Magento 1 media folder. Recreate credentials for web services APIs and administrative user accounts. Although you can directly migrate your existing theme to M2, you have to dive deeper into the technical aspects.The XML structure of Magento 2 is different, so you can’t copy and paste the layout files. It is better to go with a premade Magento 2 theme. Note: There are three running modes: default, developer and production. Use the developer mode to develop and production mode once the site goes live. 1. 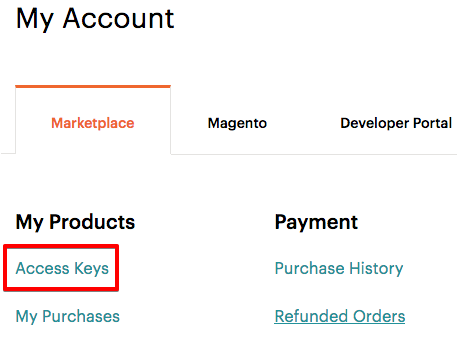 Before migration, don’t create new entities (categories, products, etc) in Magento 2 store. The Data Migration Tool will overwrite new entities with the old ones from Magento 1. 4. To migrate customization, follow Code Migration Toolkit to help you convert Magento 1.x custom codes to Magento 2. Magento 1 is structurally different from Magento 2, the migration process isn’t very easy. Want expert help? Talk to our experts and migrate Magento 1 to Magento 2 to get the most out of it.